As I write these Blogs and reflect on more than a quarter of a century of being involved with Afghanistan, so many memories come flooding back. So many of them are wonderful memories of wonderful people. Their efforts and sacrifices are still rippling through the world today. This week, one such person comes to mind — Haron Amin. I well remember the first time I heard from Haron. He was a young man who had been born in Afghanistan but raised and educated in the United States. When he finished school in America, he had volunteered at the Jamiat-i-Islami office in Washington, DC. When my first feature on Ahmad Shah Massoud was published in Insight Magazine at the beginning of 1988, Haron kindly called to say how much he liked it. We struck up a series of conversations and a friendship that would last. As time passed and we continued to talk, Haron told me of an important decision he had made. He was going to return to Afghanistan to serve Ahmad Shah Massoud. And so it was on my next trip to Massoud in 1989 that I found Haron Amin at his side. 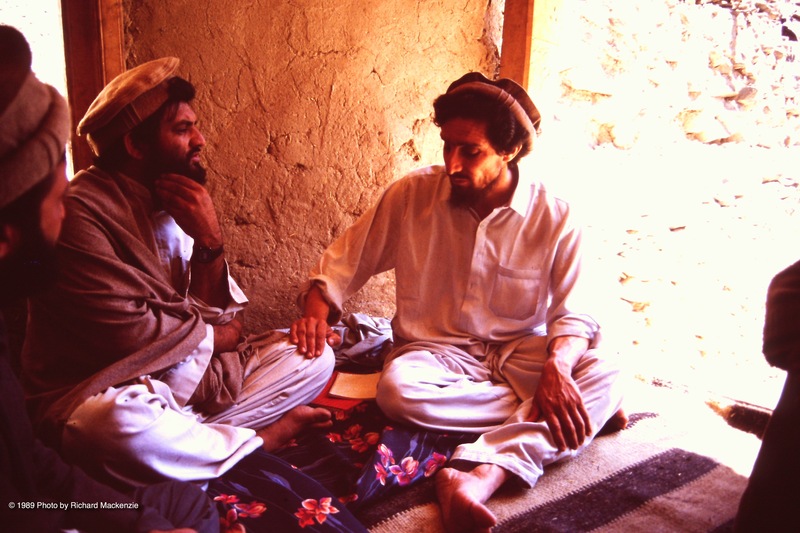 One of his many duties for Massoud was to act as a translator for English-speaking visitors. Haron’s intelligence shined through his precise translation, the inflection in his voice and the emphasis he placed on Massoud’s every word. I recall late one night, following evening prayer. I was sitting with Haron and Massoud when I suggested there were perhaps similarities as well as differences between Islam and Christianity. Massoud: The sons of David are in separate books, the Old Testament and the New Testament. One completes the other. For example, law is not in the New Testament, but it does exist in the Old Testament. And things that are not in the Old Testament are completed in the New Testament. Mackenzie: We (Christians) are actually taught the very same thing — that when Jesus came, his teachings were based on and an expansion of the Old Testament. Massoud: Isa did two main things. One was to complete the Old Testament. And the second thing, to get rid of original sin. And he did more to explain and interpret the Old Testament. Mackenzie: That’s interesting, it’s the same teaching that I understand. Massoud: The truth is the same. I well remember Haron smiling at me as he finished translating Massoud’s words. In time, Haron would serve Massoud not only in Afghanistan but also as an international representative, pleading his case in Washington, DC. It was a preview of other posts he would later hold for Afghanistan, such as Ambassador to Japan. 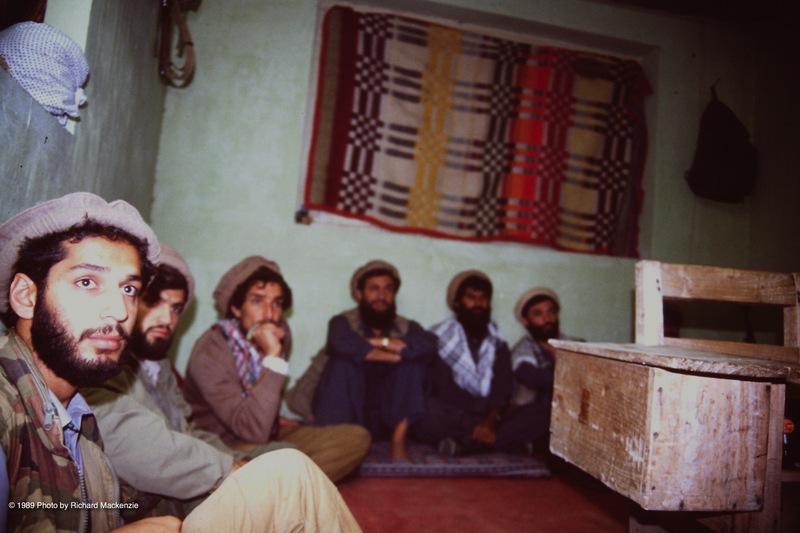 In a 1989 conversation with Massoud that Haron also translated, Massoud spoke of losing a good friend that day, a mujahid who had been at his side since the beginning of the Jihad. He had died during a battle on the Salang Highway. I asked Massoud how it was that he could endure losing so many friends and colleagues over so many years. Massoud answered and again Haron translated. 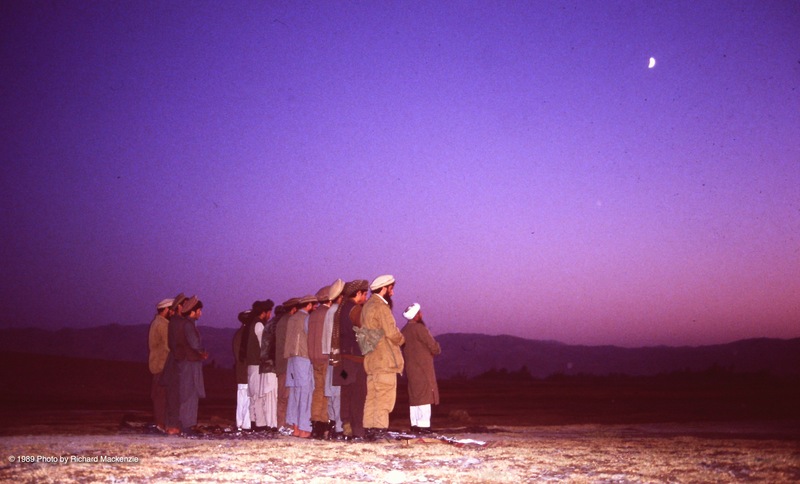 Massoud: We are Muslims and we believe that life and death are in the hands of God. One. I believe that whatever work that is done by God is for our well being, even if we don’t understand. Two. Martyrdom itself is not something where we think the person existed, died and is forgotten — and that’s it. But our belief is and the Quran says clearly that the person who becomes a martyr for God’s cause, in reality he hasn’t died. The Quran says that he is alive and God will feed him. This is every Muslim’s desire to become a martyr for God’s cause. And the person who doesn’t have the desire to become a martyr for God’s cause, indeed he is a person with a weak faith. The thing that we think, all human beings believe in, and have no doubts about, is that every human being will certainly face death. This kind of death and dying is an honor, both in this world and as well in hereafter. Whether our life ends two days earlier or later, is not very important. The significance is in it’s reputability in this world and also in the hereafter. Massoud went on to say that, while death was difficult for those left behind here on earth, it was a joyous occasion for those going to be with God. Haron and I would reflect on Massoud’s words many times in the years to come. But they never rang more loudly in my memory than that terrible day in September 2001 when Haron called to break the ghastly news that Massoud had been assassinated in Afghanistan. And the words were a comfort. Now, of course, they come back again as it sinks in that we have also lost our friend, Haron Amin. He died of cancer Feb. 13. He was 45. 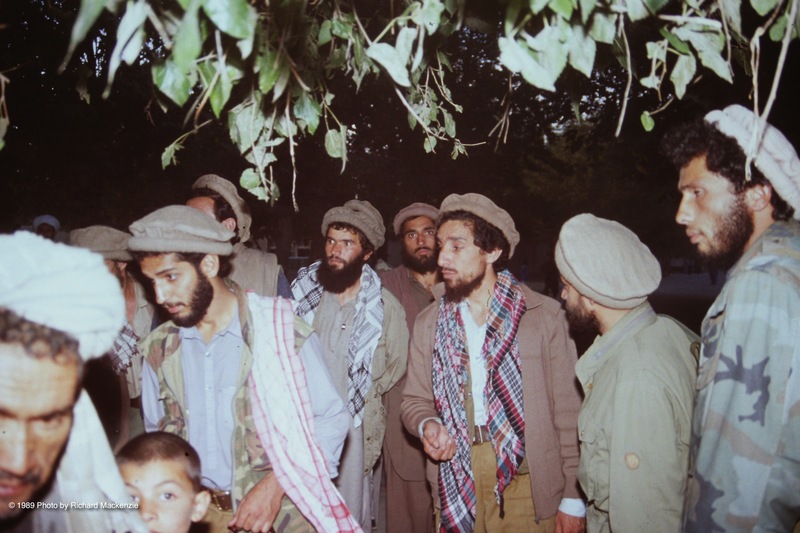 Haron walking with Massoud and mujahideen near Taloqan. 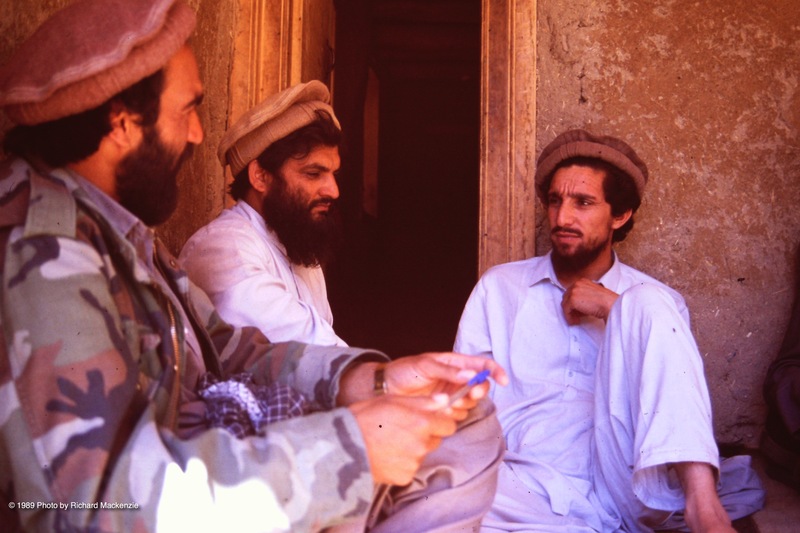 Massoud talks with key personnel in a desolate village. Very intesting story, god bless you. Haroon Amin was always a great man, and he will remain in our history forever. i met Haroon’s uncle today . i found him to be a kind man with a warm and sincere heart. Unbelievable .. I wonder if he kept his daughters know of His illness. Met him in Riverside California where he met and married my sister at the university California at Riverside.. Only to leave for new York where he then attended st johns . I remember him pushing my broke down car ..he helped push on the highway with his car … Bumper to Bumper.. Hahaha great memory . He was an intelligent man, no doubt. I missed him and my sister when they were in Afghanistan during 1995-1997. Shortly after they married And left University California at Riverside. His mom,brothers george, zia, Tamim and sisters Regina and ShaLah.. Are in my prayers.. I will be the best uncle to his daughters he had with my sister.. To the best of my ability. Harons knowledge about why September 11 happened, made sense. And seeing his words be kept alive on how corrupt governments are.. Yes especially the USA ‘s. Rest in peace ex brother n law. We are very hopefully looking for your next story. Please don’t stop your nice work about Afghanistan. God bless you, Mr. Mackenzie. I just finished reading all of these blog posts and your piece for Insight Magazine. I am not Afghan myself, but the life of Massoud and the struggle for Afghanistan have captured my young imagination and it has allowed me to reflect deeply and profoundly on war, peace, life, death, and our shared humanity. I saw your photographs all over the place in my research here and there, but it was an honor to read the stories and learn about the man behind the images as well. I pray you are reunited with these once companions of yours in the hereafter, inshā’Allāh. Thank you very much for your kind words. They are deeply appreciated.